. . . A UN ambassador of rare moral clarity. by Joseph Klein: President Trump confirmed on Tuesday that U.S. Ambassador to the United Nations Nikki Haley is resigning from that post and leaving the Trump administration, effective as of the end of this year. He praised Ambassador Haley as a “very special” person who had helped him solve "a lot of problems.” The reason for Ambassador Haley's resignation remains unclear as of the writing of this article. However, President Trump said that she had told him six months ago that she might want to take some time off. Nikki Haley has been one of the greatest and most courageous UN ambassadors that the United States has ever had. She has stood up for America and its national sovereignty without any apology, even if it meant going against the latest instances of so-called "international community consensus." She strongly defended Israel and helped to begin chipping away at the UN's inherent bias against the Jewish state. Ambassador Haley has spoken out forcefully against Russian aggression and deceit in various speeches at the UN Security Council. And she has made it one of her top priorities to expose the Iranian regime's malignant behavior, including its use of terrorist proxies to sow mayhem in the Middle East and beyond and its ballistic missile program in violation of a UN Security Council resolution. She has explained and strongly defended the Trump administration's decision to withdraw the United States from the loophole-ridden nuclear deal known as the Joint Comprehensive Plan of Action and to re-impose sanctions on the Iranian regime. At the same time, Ambassador Haley has proven her negotiating skills, which eluded her Obama era predecessors. She was instrumental in negotiating the tough UN Security Council sanctions against North Korea that have played a major role in North Korea's decision to pursue negotiations on denuclearization and to suspend its nuclear bomb and ballistic missile tests. Not content with words on paper, she has doggedly sought to keep the pressure on Russia and China to strictly enforce the sanctions. Upon entering UN headquarters for the first time in January 2017 as the Trump administration’s UN ambassador, Nikki Haley told reporters, “you are going to see a change in the way we do business.” She added that the Trump administration “is prepared and ready to go in – to have me go in, look at the UN, and everything that’s working, we’re going to make it better; everything that’s not working, we’re going to try and fix; and anything that seems to be obsolete and not necessary, we’re going to do away with.” Ambassador Haley made it clear that the administration would be “taking names” of “those who don’t have our back.” She has more than kept her word. After the dysfunctional UN Human Rights Council failed to heed Ambassador Haley’s warning to reform or lose U.S. support, the Trump administration withdrew from the Human Rights Council. This travesty counts some of the world’s worst human rights abusers as its members, while spending much of its time and resources hounding Israel. It is about to add some more human rights abusing countries to its membership. Ambassador Haley worked tirelessly to trim the UN’s peacekeeping budget. She led the Trump administration’s move to curtail U.S. funding of the United Nations Relief and Works Agency for Palestinian Refugees (UNRWA). Since UNRWA’s establishment in 1948, the U.S. has spent approximately $5 billion propping up what was supposed to be an agency for temporary relief until the original refugees leaving Israel after it declared its independence could be resettled in neighboring countries. While the U.S. was throwing more good money after bad, UNRWA was hiring terrorists, teaching hate against Jews in its schools, and perpetuating a permanent refugee status for millions of Palestinian descendants who insist on the so-called “right of return” to the territory encompassing pre-June 1967 Israel. Ambassador Haley, with the president's support, said that enough was enough. Why, Ambassador Haley once told me, should the United States keep supplying funds unconditionally through UNRWA and other channels to assist Palestinians who turn around and bash the United States? UN Watch executive director Hillel C. Neuer issued a laudatory statement in the wake of Tuesday’s announcement that Ambassador Nikki Haley will be resigning as of the end of the year. 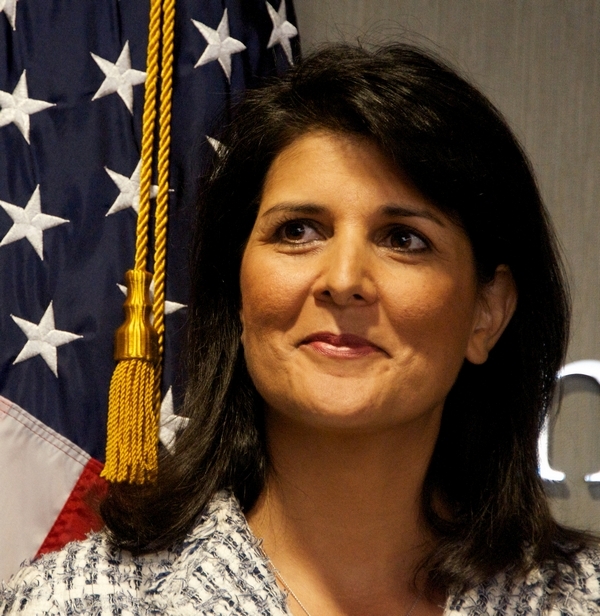 He praised her for standing up for “truth, fairness and human rights” in the face of “an assembly of dictatorships and their apologists.” He added that Ambassador Haley “was unafraid to stand alone to defend moral clarity, for example by calling out the obsessive singling-out of the Jewish state by the UN's Human Rights Council and other bodies that have become hijacked by tyrannies." In reflecting on her service as UN ambassador, Nikki Haley said, “It was a blessing to go into the U.N. every day with body armor.” It has been a blessing for the United States to have had as its ambassador to the United Nations for nearly two years a leader possessing her moral clarity and grit. Joseph Klein is a Harvard-trained lawyer and the author of Global Deception: The UN’s Stealth Assault on America’s Freedom and Lethal Engagement: Barack Hussein Obama, the United Nations & Radical Islam. His article was in FrontPage.Mag, a project of the David Horowitz Freedom Center. Tags: Joseph Klein, FrontPage Mag, Nikki Haley, To Leave Post, UN Ambassador To share or post to your site, click on "Post Link". Please mention / link to the ARRA News Service and "Like" Facebook Page - Thanks!